For day one trip report, visit here. 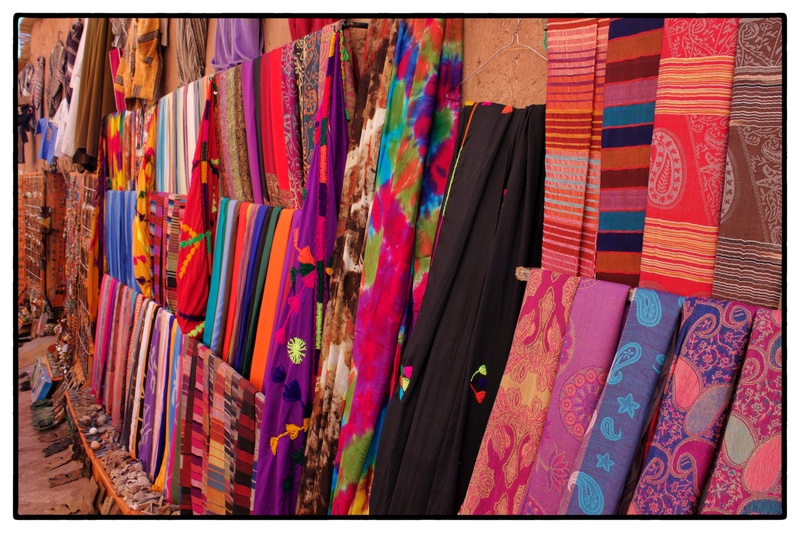 We had lots of reservations about travelling in Morocco – many of which were eased by reading the extensive and reassuring information provided on Trip Advisor forums. It was a daunting prospect, being two female travellers, having to spend 4 days with someone we’d never met before, in a country that was alien to us. I didn’t sleep very well the night before – thinking what have I let ourselves in for?! It only took a few moments in the presence of our driver, for my worries to be dispelled. As had been arranged, we were met at our Riad at 8:30am. Mohammed, our driver for the next 4 days, introduced himself and immediately demonstrated his polite, gentlemanly manner as he carried our bags up the cobbled streets of the medina. His impeccable manners and charm were endearing characteristics, present for the entire trip. The vehicle (Pajero) was new, clean, comfortable and well maintained. Mohammed ensured we felt at ease and was very attentive – frequently checking that everything was ok – and giving us space to take in the sights, at the right moments and providing us information as required. When we were taken to ‘prime’ tourists spots, such as the Argan Oil co-operative, Rissani Market or the Labyrinthe Du Sud, in Ouarzazate, Mohammed gave us a pep talk briefing beforehand, explaining that we should not feel obliged to buy and use the opportunity to get lots of photos. This helped us to relax and enjoy these experiences without feeling pressured. He always hovered at a respectful distance and intervened if he felt it appropriate or necessary. 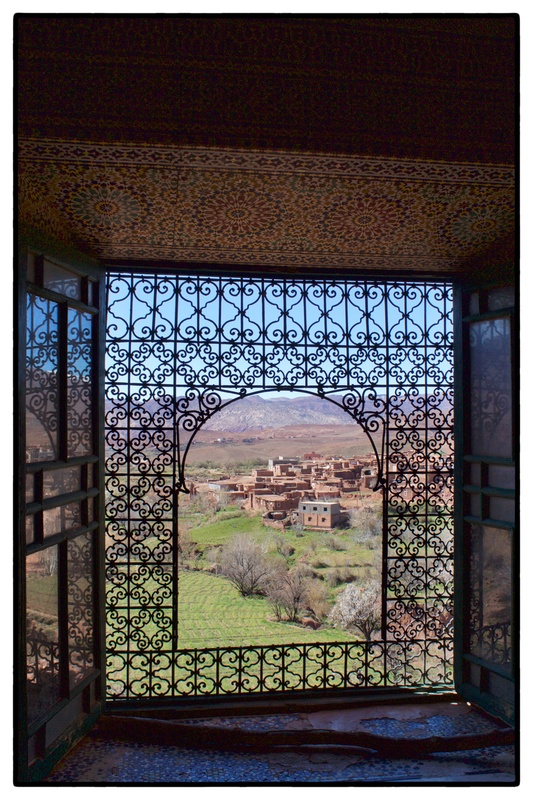 Today’s journey would take us from Marrakech, across the High Atlas Mountains, ending the day at Ouarzazate. 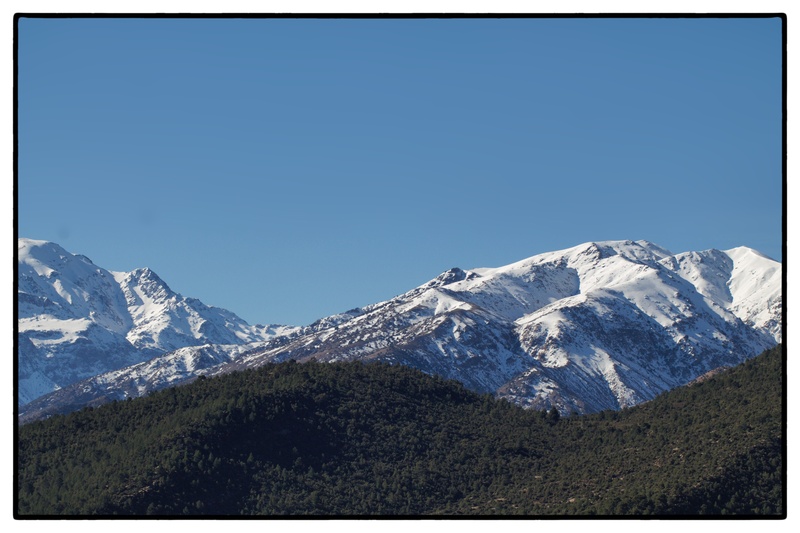 As we drove out of Marrakech, the looming, snow-capped mountains seemed such a contradiction to the dry, arid flat plains stretched out before us. However, it didn’t take long for the terrain to become more rugged and undulating. Obviously familiar with this route, within a few miles our guide pulled over to provide an opportunity for us to get some photos. Within seconds of us leaving the vehicle I hear the sound of a creaky bicycle pull up behind us (seemingly out of thin air). Immediately the rider begins his well-versed sales patter “Mineral”, “Amethyst” “photo?”. His ‘merchandise’ was three vibrant (more than likely fake) minerals. As fascinating and as dazzling as they were, I rolled off my standard “Non! Merci”. 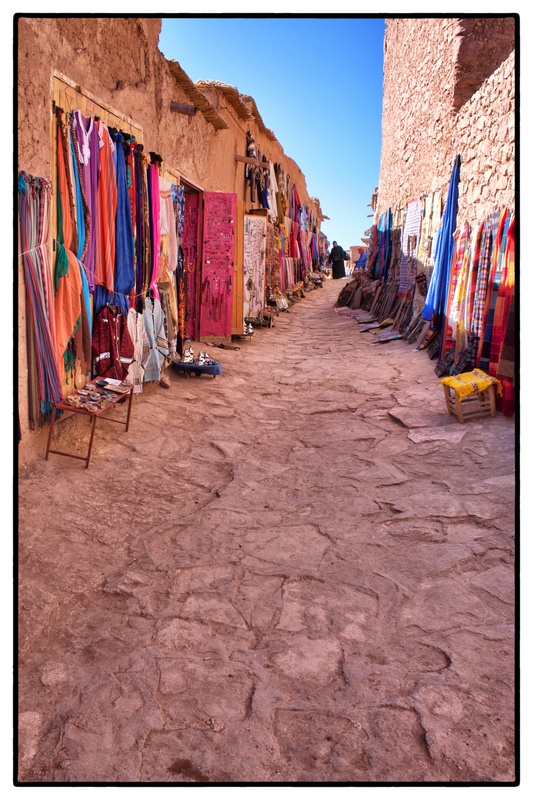 We quickly learned that we could expect to encounter these sellers any time we stopped… no matter how remote or isolated the spot! During one photo stop, my daughter was busy snapping away at the impressive view, when she turned round and was eye to eye with an outstretched hand containing a pair of lizards…. followed by “You take photo?”. I wish I could have captured her expression at that moment! Needless to say she was back in the car like a shot! 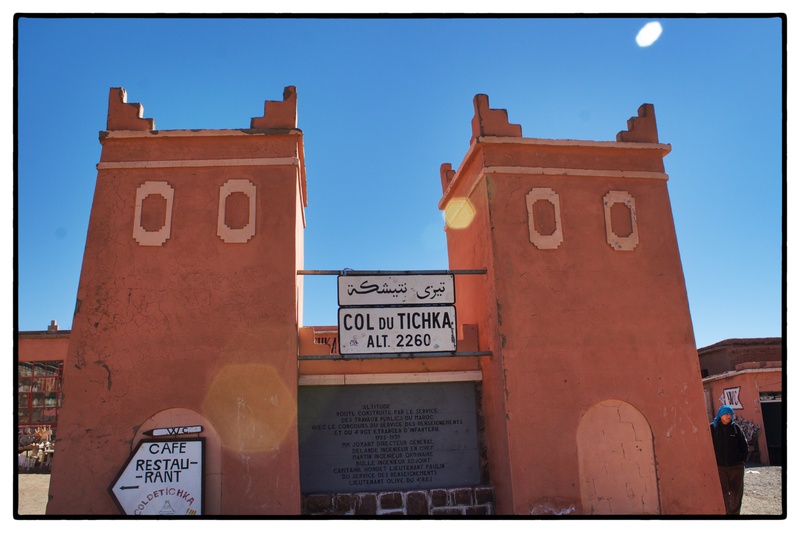 After a few hours traversing the winding roads, which snake up the sides of the mountains, we passed the highest point (Tizi Ntichka) – blink and you’ll miss it! Our driver briefly pulled over to allow for an ‘out of the window shot’! We then dropped down off the main road and our guide explained we were heading towards Telouat Kasbah. Traversing the narrow, rugged roads on this part of the journey, left me feeling somewhat ‘sea-sick’!! Telouat Kasbah was the only place where we needed to pay to visit (20 MAD). We were fortunate to have the place to ourselves. Mohammed explained the history of Kasbahs in Morocco, and guided us through this now unoccupied and largely dilapidated building. The downstairs area (where the poorer people would have resided) crumbling and in a state of disrepair, was dull and uninspiring and doesn’t prepare you for what’s in store upstairs! Floor to ceiling bright zelije tiles, ornate cornices, ironwork window grates and beautiful hand decorated panels on the doors. A photographer’s dream. Our next destination was Ait Ben Haddou, where Mohammed explained we would break for 90 minutes, for lunch – “and just relax” he reassured us! The restaurant was clearly a regular haunt for organised trips – with numerous 4×4’s and coaches lined up outside. We now realise that lunch breaks were always taken at restaurants that seemed to cater for tours like ours – I wonder if the guides get a discount? They generally offered a limited set menu costing 100 dirhams (£7 approx) – this you needed to pay for (however breakfast & dinner were included in our tour price). 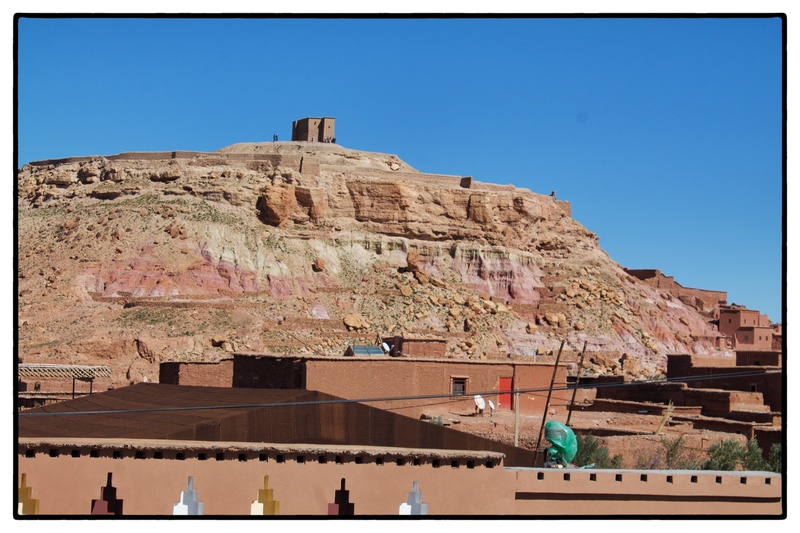 It was pleasantly warm so we chose to eat upstairs on the roof terrace – with a fabulous view of the famous Ksar – Ait Ben Haddou. It’s a good job we’d been given those 90 minutes to relax, and a hearty dinner (Moroccans certainly don’t hold back on portion sizes) – as the walk up to, and through, the Ksar involved ascending countless stairs! 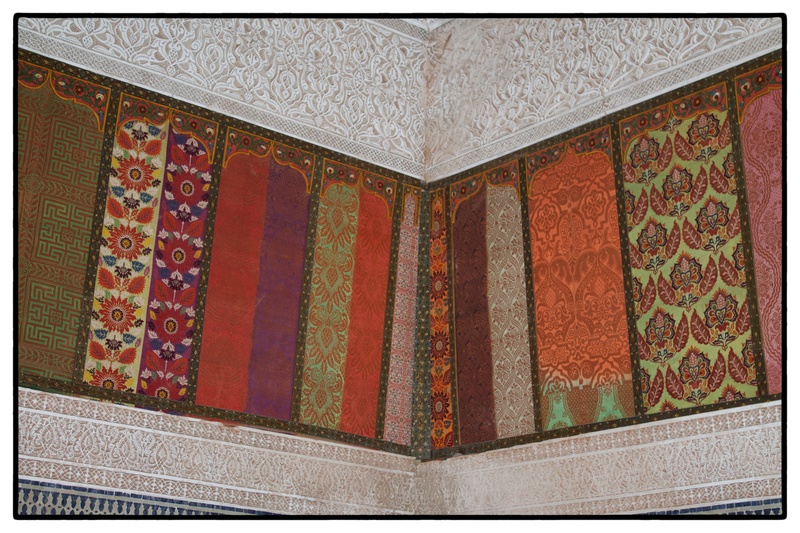 Nevertheless, it was a beautiful example of traditional Moroccan architecture and I particularly enjoyed walking through the many alleyways that were lined with shops – their vivid scarves, pictures and pottery illuminating our way. Simply charming. I took some of my favourite photos along there. 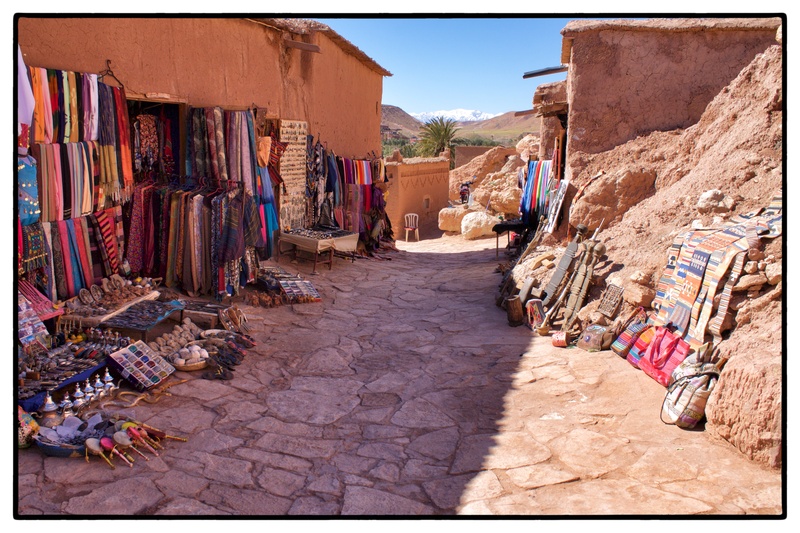 We travelled on to Ouarzazate – Mohammed drove us past the film studios. He offered us the opportunity to visit them, but explained there wasn’t much to see. So trusting his opinion, we declined! The final stop of the day was the Labyrinthe Du Sud – an Aladdin’s cave with two rooms full of antiques, proudly displayed against striking indigo walls and a vast pillared room, stacked with multicolour rugs and carpets. Mohammed left us in the capable hands of an animated and enchanting man, adorned in indigo blue traditional berber robes and headdress. We were guided through a whole host of artefacts, enraptured by their fascinating and eclectic history, before being led into the brightly lit carpet bazaar! I knew this was where they were going to get into serious sales pitch mode as the mint tea made an appearance! We took a seat, accepted the tea and braced ourselves for the sales pitch! I was quite happy to sit back and enjoy the ride as I knew I only had 200 MAD on me…. I doubt that would have even got me a carpet tile! Berber man and his faithful assistant set about a well choreographed routine, producing intricately made rugs and passionately illustrated each design for us… “these diamonds represent the Milky Way”, “this chevron show shooting stars” “pyramids for sahara desert” ,“this rug fold into suitcase to go on mule”, “this is family rug for marriage”. After being presented with about 15 rugs – getting progressively smaller, the anticipated sales pitch made it’s appearance. 1500 MAD for the smallest one… I took out my 200 MAD and conceded, “I don’t think this will buy anything here?”! Not surprisingly, we were soon redirected to a room containing jewellery and smaller artefacts where we leisurely snapped a few photos before returning to Mohammed outside. My daughter and I now fondly remember this encounter and chuckle when we see a rug – as it provides an opportunity to try our best to creatively interpret the designs! It doesn’t quite have the same resonance on a brown two-tone IKEA rug though! 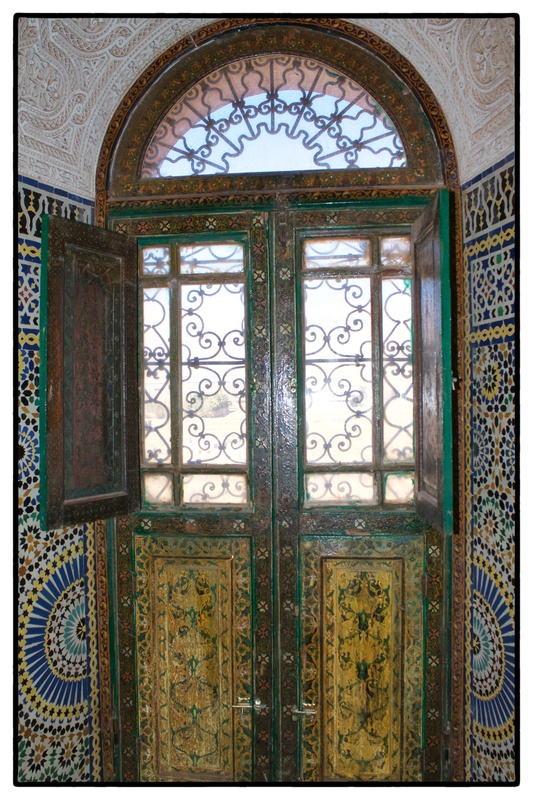 Just a 5 minute journey down the road and we arrived at our hotel, Riad Bouchedor. The grand building seemed very out of place amongst the incomplete and under construction buildings surrounding it. The staff were courteous and attentive at all times. The room was probably the best we experienced during the entire trip. Dinner was a fixed menu – and the food just seemed to keep coming (7 courses??). For some unknown reason my phone wouldn’t connect to the WiFi (although my daughters would) – as a result there then ensued about 45 minutes and seven Moroccans trying to get it connected for me…. I really wasn’t that fussed about having WiFi, but I was flattered and appreciated their relentless determination! ← The Moroccan Sensory Layer Cake. Trip report – DAY ONE!